BoozeMenus.Com is an innovative site giving the metropolitan set an all-encompassing guide to menus, cocktails, promotions, NYC nightlife and happenings. 5 Places To Raise A Glass To Gals 1 Vote Up! The LOADed Cocktail Passport - 2017 0 Votes Up! The NYC Good Whiskey Passport 2017 0 Votes Up! The Good Local Passport 2016 2 Votes Up! 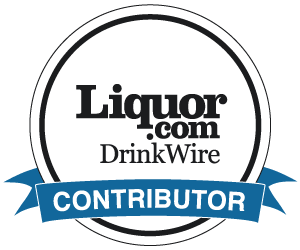 The NYC Good Tequila Passport 1 Vote Up! 6 Summertime Spritzes 1 Vote Up! The NYC Good Beer Passport - Summer 2016 1 Vote Up! Booze Bulletin 1 Vote Up! Behind The Bar ~ The Lambs Club 2 Votes Up! 4 Twists On The Gin & Tonic To Try 2 Votes Up! Behind The Bar ~ Trattoria Il Mulino 1 Vote Up! Behind The Bar ~ Llama Inn 1 Vote Up! Slushie Season: 5 Frozen Cocktails 1 Vote Up! Behind The Bar ~ Social Drink and Food 1 Vote Up! Behind The Bar ~ Montana's Trail House 1 Vote Up! 4 Ladies, 4 Libations 1 Vote Up! Be The Bartender. Join Herradura Tequila for an Ex... 4 Votes Up! Spring Into The Season With 5 New Cocktails 0 Votes Up! 4 Fat-Washed Cocktails Worth The Calories 0 Votes Up! LOADed Cocktail Passport Tasting Party 1 Vote Up! The LOADed Cocktail Passport 2016 1 Vote Up! Behind The Bar ~ Piora 2 Votes Up! 6 Of The Best Boozy Hot Chocolates 4 Votes Up! 5 Places To Drink Rare Mexican Spirits 0 Votes Up! Behind The Bar ~ Irvington 0 Votes Up! Happy Australia Day: 2 Drinks From Down Under 1 Vote Up! Irish Coffee & The Dead Rabbit 0 Votes Up! Behind The Bar ~ PUBLIC 2 Votes Up! BOOZING WITH BENEFITS: 4 HEALTHY COCKTAILS 0 Votes Up! Behind The Bar ~ Saxon + Parole 1 Vote Up!